While wood siding has long been a staple in homebuilding, it has fallen by the wayside as far as popularity goes. And there’s a good reason for that: Wood siding simply doesn’t provide the value that other siding options on the market now do. Back in its heyday, wood siding was a fairly reliable, highly available, lightweight building material that proved to be adequate for structures that would stand for a few dozen years. However, nowadays, our building standards have grown so that siding must last for decades on end while providing complete protection from moisture, pests, and other hazards. That’s why homeowners have shifted to vinyl, fiber cement, and wood composites in lieu of traditional wood siding for their homes. These materials offer a number of benefits over wood siding. Here are a few of the reasons why wood siding has proved to be an inferior option to modern manufactured siding materials. Wood is becoming more and more expensive as deforestation continues and regulations restrict the market. Plus, it takes more time and effort to make wood siding over siding that can be produced quickly by a manufacturer. 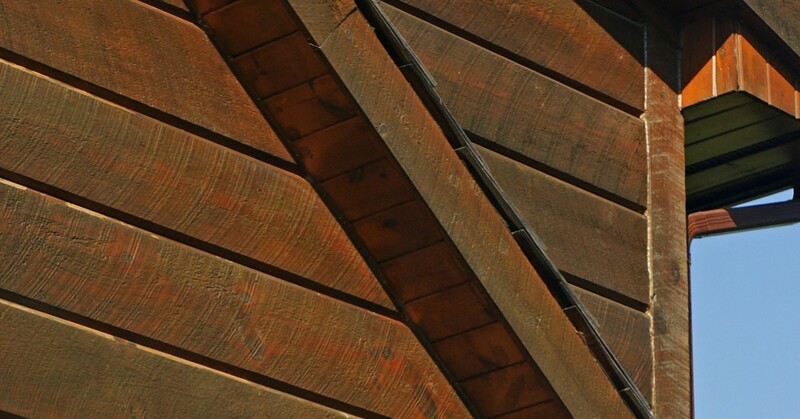 For these reasons, you’ll find that wood siding is more expensive up front. In addition, wood siding is more expensive to maintain. While other siding options (for example, vinyl siding) don’t require any upkeep aside from the occasional rinse, wood siding requires consistent maintenance. You’ll have to wash your wood siding and paint or finish the surface every few years to ensure that it lasts as long as it should. Wood siding simply has some weaknesses that we’ve overcome be creating superior siding materials. If you’re installing wood siding on your home, you’ll have to be wary of temperature fluctuations, sun exposure, water penetration, and pests that can render your siding an ineffective barrier against precipitation. As temperatures rise and fall throughout the day, wood siding will expand and contract. While a bit of change in size is okay (all siding materials will change a bit), wood is especially prone to temperature changes, and it can force the wood siding to warp or crack over time. That’s an especially bad trait for homes here in Colorado, where temperatures can shift from a sunny, 80-degree day to a blustery, freezing night. Modern siding materials are more malleable and resilient, which means that they’re less likely to warp or fail as temperatures swing. The sun’s rays can cause wood to deteriorate and warp. Over time, the sun can “bake” your wood siding, leaving it weak and open to precipitation. Plus, unless you have a UV-protective finish on your wood, the wood can quickly discolor, leaving your home looking old and poorly maintained. Wood naturally soaks up water. Other siding materials are water repellent. While wood can prove sufficient to shed most of the water that hits its surfaces, it will absorb water over time, especially if that water is resting against the surface. That can lead to cracking and damage to the siding, and it can lead to a leak within your home. Beyond that, water exposure can create the perfect conditions for mold and mildew to begin to grow on wood siding. Over time, mold and mildew will damage and discolor the wood, and it can spread across the surface of your home. Termites, carpenter ants, and other pests may make your home their own if you have wood siding. While termites aren’t a major concern here in Colorado, thanks to the climate and elevation, there are still incidences of infestations occurring throughout the state. If you don’t want to put your home at risk, it’s best to stick to siding that won’t attract these pests. Wood is flammable. Vinyl and fiber cement are not. While surrounding your home with wood siding can turn it into a veritable tinderbox, other options actually protect your home from fire. Fiber cement is the best choice, since it is fireproof, and it won’t warp or deteriorate, even if there is high heat from a fire nearby. Vinyl is also fireproof, however it will warp and melt if near a flame. Overall, the durability of wood is decent, but it’s not going to outlast more modern siding options. While wood siding can last about two decades — maybe more if you maintain it perfectly — other siding options will last for decades on end without need for maintenance. That’s why homeowners often think that wood siding has less value than other options. Nowadays, other siding materials have all of the benefits that you could want. You can find siding that is fireproof, wind resistant, pest-free, protected from UV-rays, resilient in the face of temperature changes, and highly durable. Plus, these materials can be shaped and manufactured to look just like wood. So, you can cover your home in that beautiful, wood-like texture, without sacrificing the value of your siding. You can even find modern siding materials that mimic wood shake siding and various other siding patterns that were made popular by wood. In short, there are really no drawbacks to newer siding materials, and modern siding manufacturers have fixed all of the pitfalls of wood siding. Here at Airtight Exteriors, we want your siding to last a lifetime. That’s why we’ve partnered with a few siding manufacturers to provide access to premier products. We install a variety of home siding materials, including vinyl siding, fiber cement siding, and composite wood siding. If you’re weighing your options or you’d like to start your project, don’t hesitate to reach out to us — we’re here to help! We provide siding services for folks throughout the Lakewood area.